Born in 1988, Han Bin displayed signs of exceptional musical talent already in childhood. Within less than a year of picking up the cello, he won his first competition and made solo appearances with the San Diego Youth Symphony. 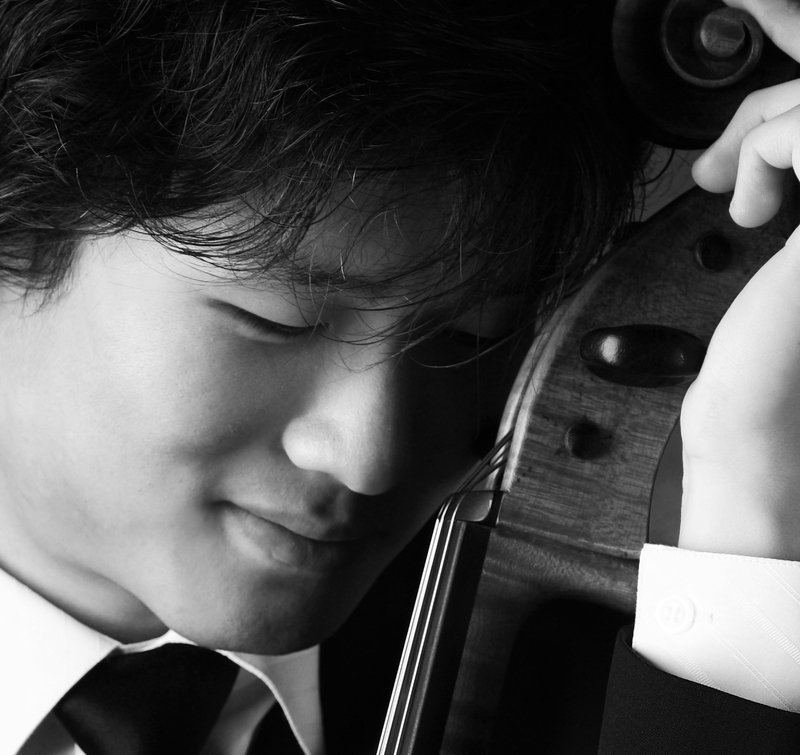 As the winner of the 2010 Hellam Competition, Han Bin performed with the Springfield (MO) Symphony last season. He has previously appeared as guest soloist with orchestras including the Torrance, Palisades, Brentwood and Huntsville Symphonies. He has performed with the Los Angeles Violoncello Society, and he was also chosen as one of two classical instrumental finalists in the Los Angeles Music Center’s Spotlight Awards competition, subsequently performing in the gala concert at the Dorothy Chandler Pavilion, a program that was broadcast nationally on PBS. In spring 2012, Han Bin took part in the inaugural Piatigorsky International Cello Festival, the International Musicians Seminar Prussia Cove (U.K.), and the Académie Musicale de Villecroze (France), working privately with renowned cellists Steven Isserlis and Frans Helmerson. Han Bin Yoon has worked with such renowned cellists as Bernard Greenhouse, Frans Helmerson, Steven Isserlis, David Geringas, Anner Bylsma, Eleonore Schoenfeld and Paul Katz. He currently studies with Ralph Kirshbaum at the USC Thornton School of Music.